They want to move to Australia, but do not know where to start? They want to identify the correct path and the strategy best suited to your situation? 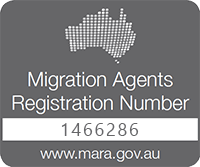 They are in Australia and would like to extend your stay and want clarity about your options? Their visa is about to expire and you want to know the options for renewal? After the consultation you will be provided with with written letter of advice explaining everything discussed in the consultation. This letter of advice is available to you in English, Portuguese, French, Spanish or Italian.